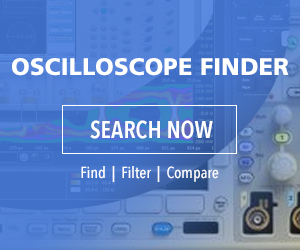 A three-phase power analysis software package brings single-phase and three-phase static and dynamic power analysis to the HDO8000A, HDO6000A and WavePro HD 12-bit High Definition oscilloscopes from Teledyne LeCroy. With the 3-Phase Power Analysis software package, research and development engineers can now use Teledyne LeCroy’s 12-bit-resolution oscilloscopes to better understand complex power conversion system and control behaviors and hasten power conversion system-design refinements. The rapidly growing power-conversion market now extends into applications requiring complex dynamic power analysis during time periods as short as a single device-switching cycle. Conventional power-analyzer instruments cannot perform dynamic power analysis and are limited to long power-period (e.g. 5 Hz to 500 Hz) analysis. Teledyne LeCroy’s 3-Phase Power Analysis software package now enables more thorough power-conversation system evaluations and provides deep insight into complex dynamic system behaviors in applications including dc-dc power supplies, hybrid/electric vehicles, solar PV and grid-tied inverters, welding equipment, uninterruptible power supplies and HVAC systems. Support for a two-wattmeter method to make accurate 3-phase power measurements using just two voltage and two current signals. The 3-Phase Power Analysis software package is priced at $3,500. The ancillary Harmonics software add-on is priced at $1,545. Teledyne LeCroy, 700 Chestnut Ridge Road, Chestnut Ridge, NY, 10977-6499, 800-553-2769 or 845-425-2000, teledynelecroy.com/static-dynamic-complete/.